Many customers who invest in private health insurance are very happy and satisfied with the coverage and customer service they receive from their insurance companies. However, there are still instances when formal complaints or questions are warranted. Customers who feel they are unable to solve an insurance issue directly with their company can contact the Private Health Insurance Ombudsman for assistance. 2 What Is the Private Health Insurance Ombudsman? 5.0.1 What Types of Health Insurance are Available in Australia? 5.0.2 Who Should Buy Health Insurance? 5.0.3 How Much Does Health Insurance Cost? Private Health Insurance customers can file complaints by phone, the internet, or mail. When filing a complaint by mail, it is important to have a properly constructed letter. The templates in this guide will help. Complaints about Private Health Insurance should be directed to the Private Health Insurance Ombudsman (PHIO) for a faster resolution. The PHIO exists to assist customers in resolving disputes. It also works with the Government and private health insurers to help improve their services. What Is the Private Health Insurance Ombudsman? The Private Health Insurance Ombudsman (PHIO) is an arm of the Commonwealth Ombudsman office and is completely independent of private health insurers, private and public hospitals, and health service providers. While PHIO’s primary objective is to advocate for private health insurance consumers, it also takes health complaints about health insurance arrangements from health funds, private hospitals, and medical practitioners. PHIO accepts all consumer complaints related to private health insurance. Those with complaints about healthcare quality should contact the healthcare complaints body for their state or territory. Insurance Ombudsman letter. 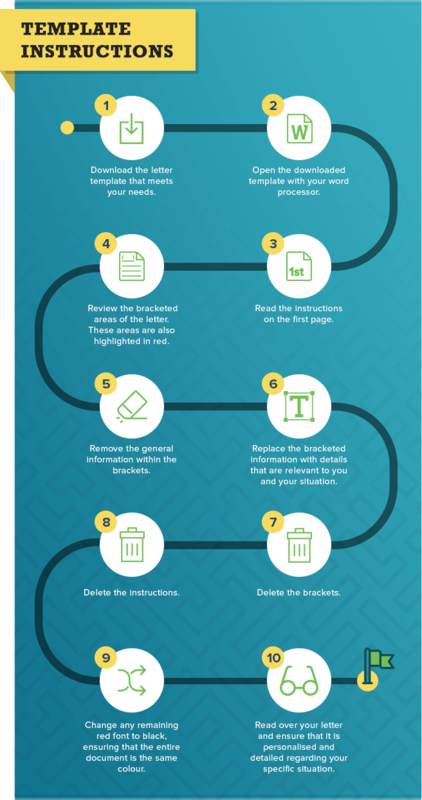 The following letters are templates that consumers can modify and send to the PHIO to facilitate their complaint process. Customers who feel that they have been mislead by a private insurance company should complete this template. It helps consumers lodge a complaint for misleading written and oral communications. This is particularly relevant for customers who feel that their health insurance company gave incorrect advice, failed to keep promises, or provided incorrect information. As it is illegal for any business to make a false claim or misleading statement, those filing a Misleading Communications complaint don’t necessarily need to be customers of the company they are complaining about. If a customer has a complaint that is specifically related to their benefits, he or she should complete the Benefits/Level of Cover template. While misstatements about benefits are also covered under Misleading Statements, it is important to differentiate that the customer was mislead about benefits or their expected level of cover. The Membership Issues template is for private health insurance customers who feel their rights have been violated in regards to a their health fund, an improper cancellation, a denied refund, or the inability to obtain a clearance certificate.about benefits or their expected level of cover. Private Health Insurance customers who feel they have been subject to grossly and neglectfully unacceptable service by their provider should complete the Service Issues template. Insurers can offer plans that combine coverage from more than one group. They can also provide coverage at various levels with a group or combination of groups. Still, customers can expect a certain baseline within each cover group. 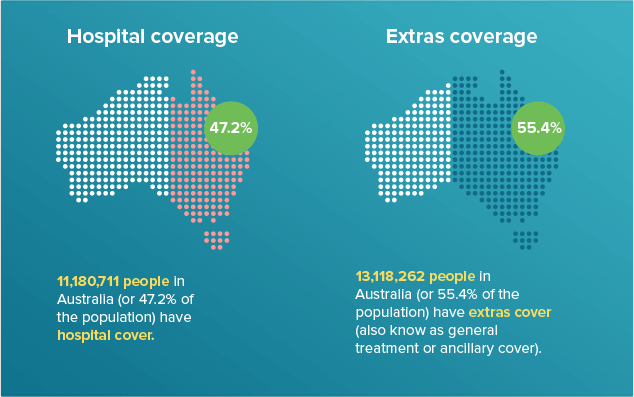 According to APRA, as at December 2017, 45.6% of Australians have private health insurance cover in terms of a policy covering hospital treatment. This is down just slightly on September 2017’s near 46% of Australians (because of an increasing population, it equates to around 12,000 fewer people covered). Hospital cover will typically include emergency and elective surgeries. 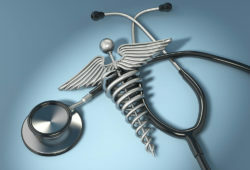 Often times, patients can choose between public hospitals or a group of private hospital for their inpatient treatments. Extras covers are designed to help customers pay for health related items that are not included under the standard Hospital cover. It includes benefits that can often be included with a Hospital cover to provide a fully comprehensive coverage option for patients. While many Hospital and Extras covers also include ambulance services, consumers have the option to purchase Ambulance cover separate from other plans. Customers who chose Ambulance cover alone can expect to have coverage for emergency ambulance transport. Generally, they are also covered for any medical services related to the ambulance transport. Private insurance offers various coverage options for individuals at all phases of life and should be considered by everyone. Private Health Insurance costs can vary depending on the level of coverage and insurance company. It is best for consumers to consider their medical and health insurance needs and get precise cost information based on their situation. Premium: A premium is the price a customer pays for an insurance plan. Premiums can be paid annually or in smaller increments. Policy: A policy is the specific insurance plan a customer purchases. Policyholder: The policyholder is the main person on an insurance plan – the owner of the policy. 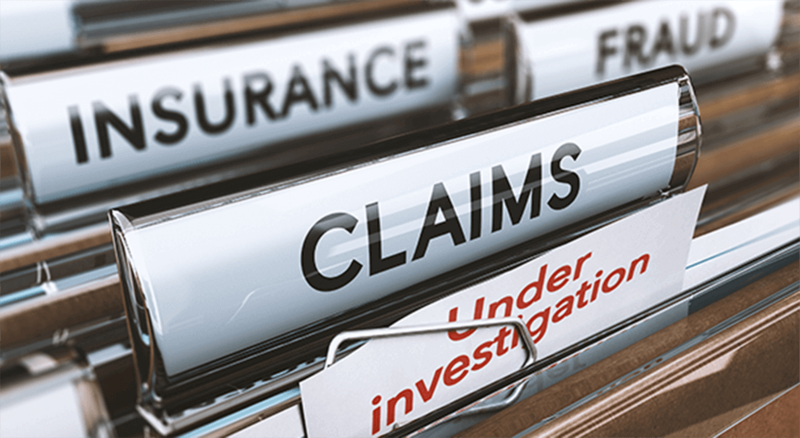 Claim: A claim is a request for coverage or reimbursement for medical services that are covered under a policy. Most claims are completed by medical organizations and submitted electronically. Lifetime Health Cover: The Lifetime Health Cover is a Government initiative that aims to encourage young Australians to invest in private health insurance. Under this initiative, patients who chose not to take out private health insurance by their 30th birthday, but decide to do later in life, may be subject to a 2% loading for on top of their premium for every year over 30 that they did not have private health insurance. This would result in a 20% loading on top of the regular premium for someone who waits until he or she is 40 to invest in private health insurance. The maximum loading is 70% and any loading penalties are removed after 10 years. Pharmaceutical Benefits Scheme (PBS): The PBS is a program that is part of the Australian Government’s National Medicines Policy. Under the PBS, the Government subsidises the cost of most medicines. A list of subsidised medicines is available online and updated monthly. Medicare Levy Surcharge: The Medicare Levy Surcharge is a Government tax that was designed to encourage high-income Australians to invest in the private health care system. 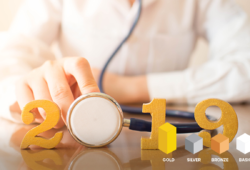 It is applied to single Australian taxpayers who earn over $90,000 per year and couples who earn more than $180,000 per year if they do not own a private health insurance policy. 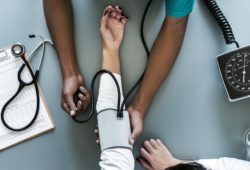 Private Health Insurance Rebate: The Private Health Insurance Rebate is a Government distributed, partial refund on private health insurance premiums.